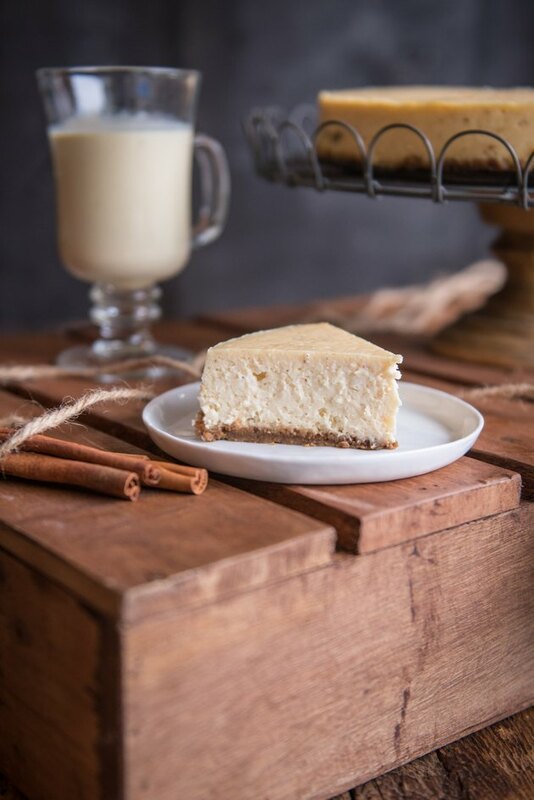 This Eggnog Cheesecake with Gingerbread Crust Recipe is so creamy, dreamy and delicious! 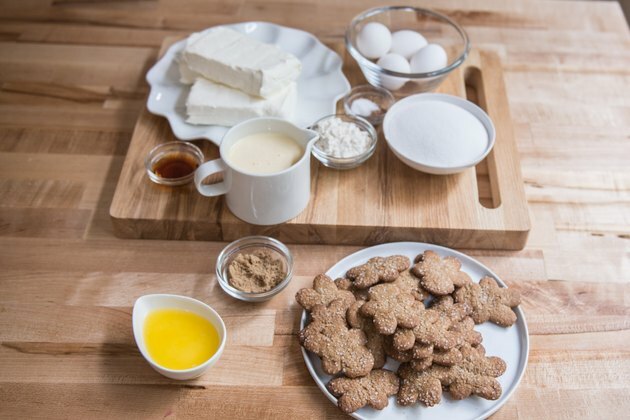 With eggnog and gingerbread, it tastes just like the holidays! 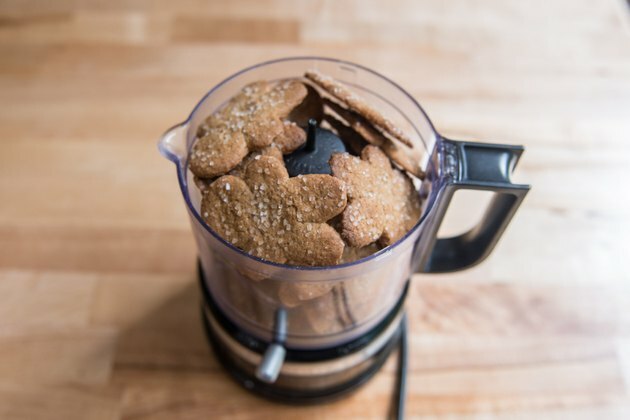 Add the gingerbread cookies, brown sugar and 2 tablespoons flour to a food processor. Process until just crumbs remain. 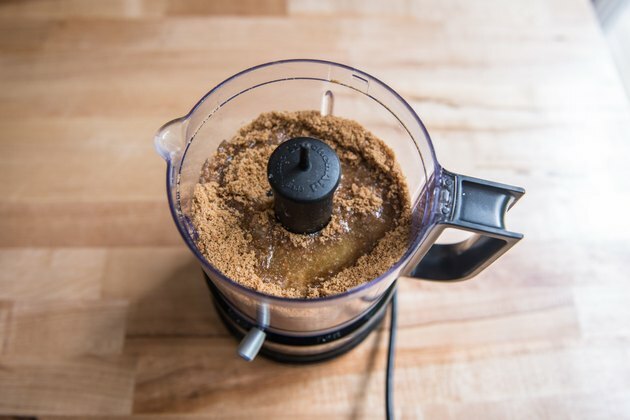 Add the melted butter to the food processor. Process until well combined. Press into an even layer in the bottom of a 9-inch spring form pan. 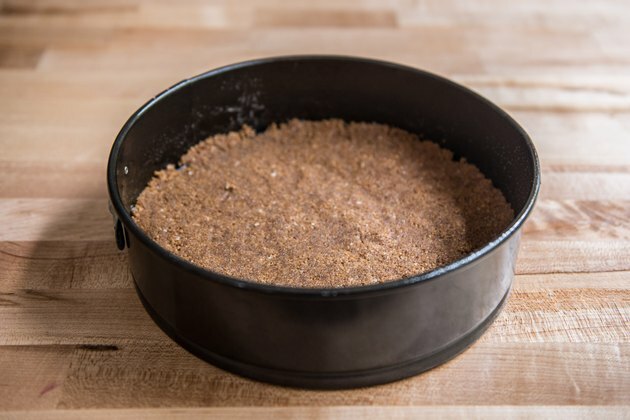 Want that cheesecake to come out easily? Place a round of parchment (cut to fit!) in the bottom of the pan. 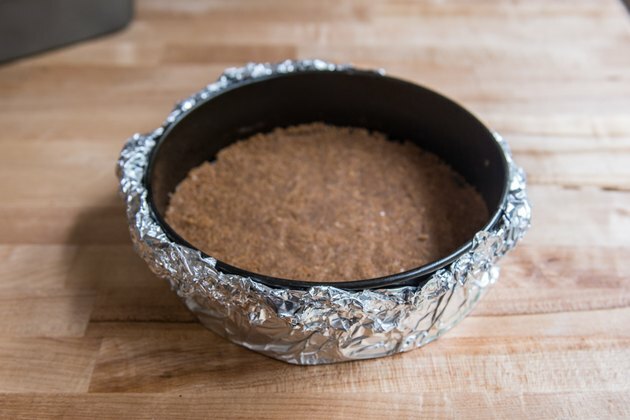 Place pan on a large sheet of aluminum foil. Press it up to wrap around the bottom and up the sides. Rotate and then wrap again with more foil, then again. Use more foil than you think necessary to avoid leaks. Afraid of leaks? Some pans leak more than others. Place the springform pan into a large plastic roasting bag (the type you use to cook a turkey), then tie it just under the top of the pan. From there, proceed to wrap in foil and there won't be any leaks for you! 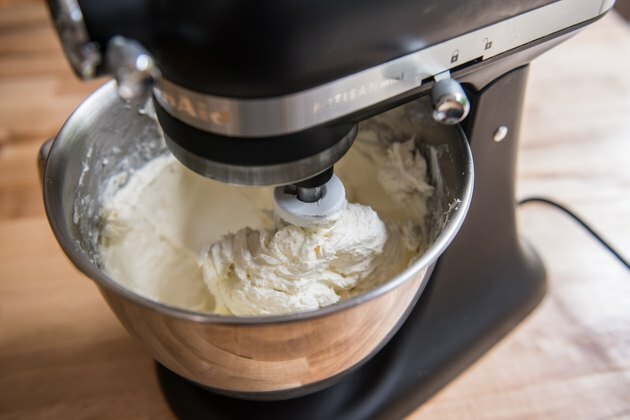 Add the cream cheese, sugar and remaining 3 tablespoons flour to a stand mixer fitted with a paddle attachment. Beat on low to medium speed until well combined. Always use low speed! 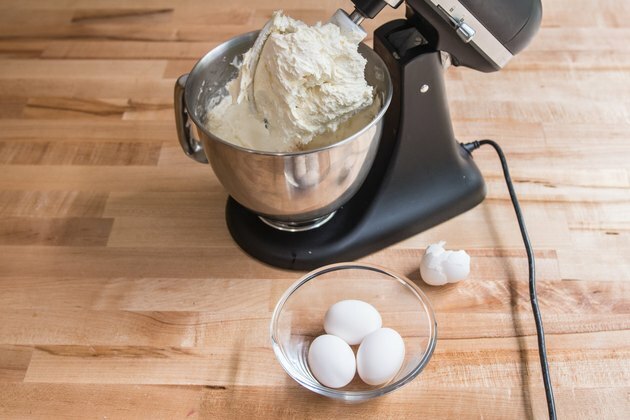 Too much air in the batter can make the top crack during baking. Add the eggnog, nutmeg, salt and vanilla, mixing until well combined. Add the eggs, one at a time, scraping the bottom between additions. 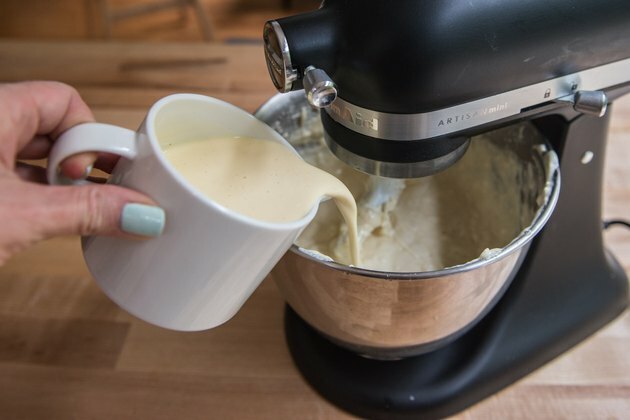 Pour the batter over the crust. 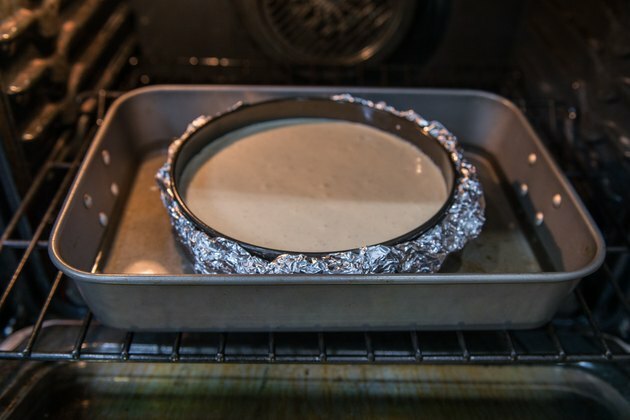 Place the cheesecake in a roasting pan. Add to the oven, then pour in warm water until about half way up the side of the cheesecake. 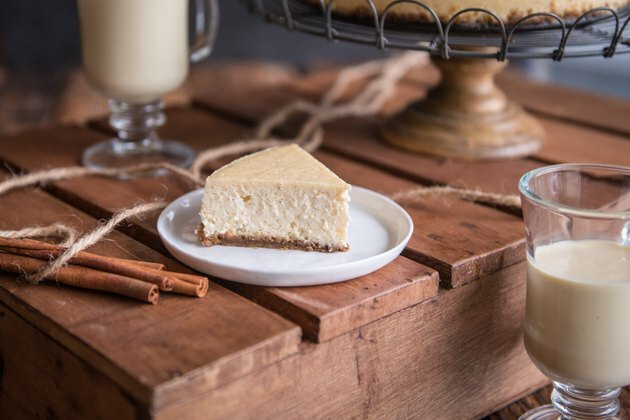 Bake at 300°F for one hour and 30 minutes or until the cheesecake just jiggles slightly when the pan is shaken, but doesn't slosh in the center (it will continue to set as it cools–the toothpick test does not work on cheesecakes). Turn off the oven, leaving the door vented. 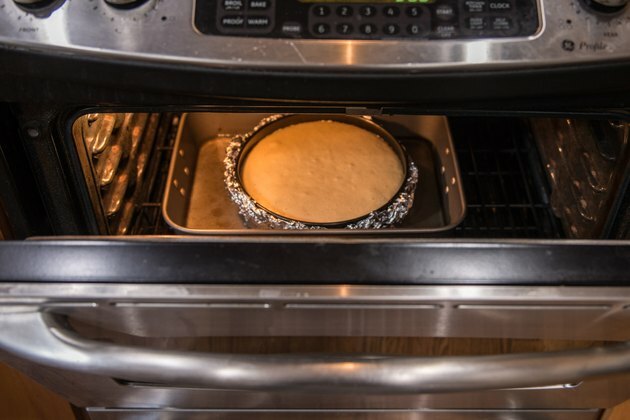 Allow the cheesecake to cool in the oven to avoid surface cracks.